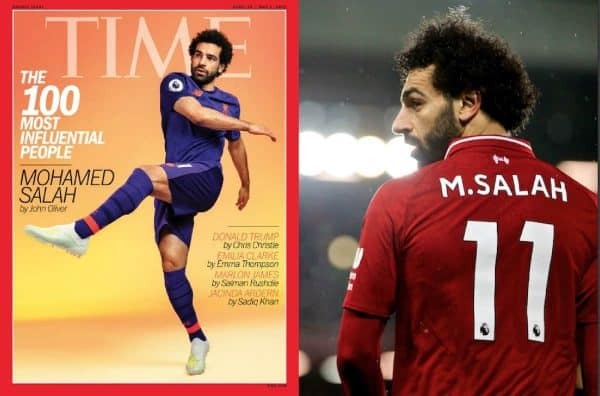 Further evidence of Mohamed Salah‘s growing status not just in England and Europe but around the world, with the Egyptian named in TIME magazine’s most influential people of 2019. A list more recognised for featuring politicians, businesspeople and humanitarians, Salah is one of just five sports people in the 100, alongside LeBron James (basketball), Tiger Woods (golf), Caster Semenya (athletics) and Alex Morgan (women’s football). Salah is one of just six people from the top 100 chosen for the magazine’s cover images for the special issue. Salah’s rise to prominence since arriving at Liverpool in 2017 has been played out on a global stage, especially in last season’s run to the Champions League final. Speaking to TIME, Salah discussed women’s equality, saying: “I think we need to change the way we treat women in our culture. It’s not optional.